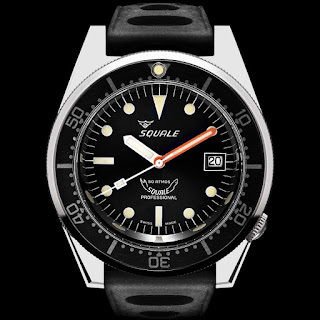 Something newish from Squale for Baselworld 2018! Bigger and better things are coming – YOU WILL BE BLOWN AWAY …. I’ll shut up now. 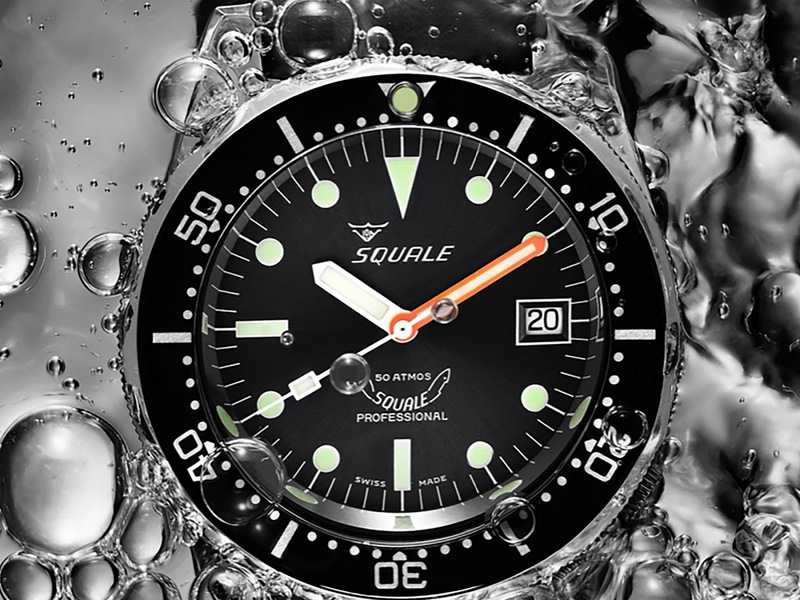 The SQUALE 1521 50 ATM Professional watch is considered the classic SQUALE diver watch in its most elegant form. 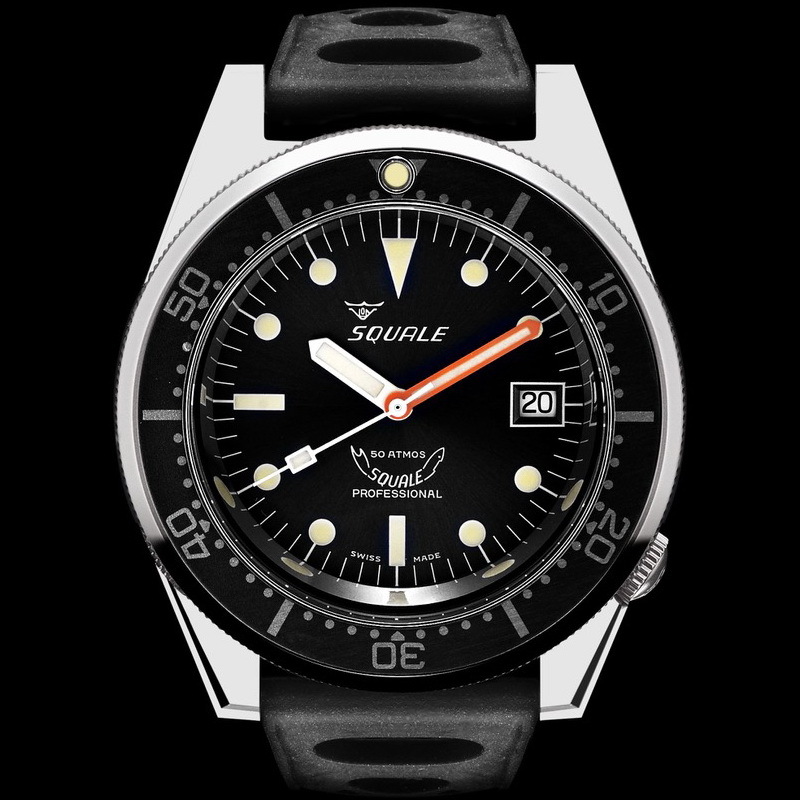 The design is by Charles von Büren, SQUALE’s founder, whose priority was to create a great-looking, yet robust diver’s watch. 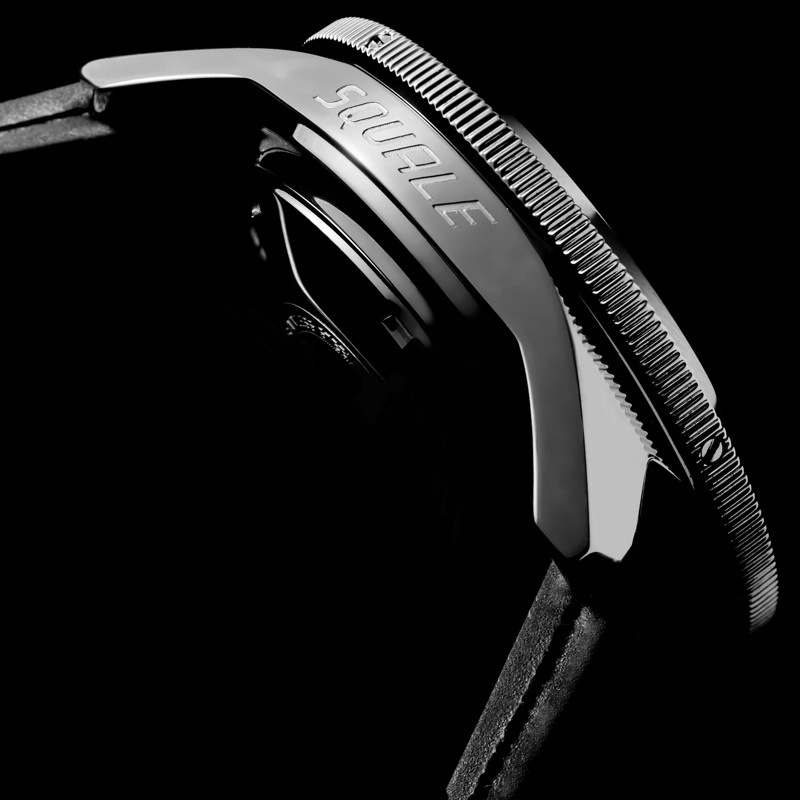 A true divers watch that offers a proper 500 meters of water-resistance in a compact, 42mm-wide and 13mm-thick package for ultimate comfort in wear-ability. Special details include how the shape of the case protects the recessed crown at the 4:30 position, or how the orange minute hand makes reading the minutes super intuitive. 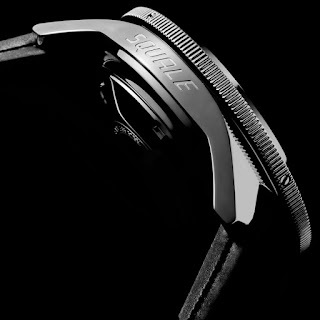 And of course not forgetting, the neat case-side engraving bearing the famous SQUALE name. The SQUALE 1521 50 ATM Professional will be available with three different case finishes that include: high-gloss polished steel, sandblasted steel, or matte PVD. There will also be a wide range of lacquered dial colors available. Spec. includes: an ETA Swiss 2824-2 automatic with 38-40 hours of power reserve, a 316L Stainless steel case, screw-down case-back and crown, unidirectional bezel with 60 clicks, anti-reflective Sapphire crystal and water-resistance up to 500 meters.